3.5" x 8.5"4.25" x 5.5"5.5" x 8.5"8.5" x 11"
Full color notepads are a wonderful promotional tool. Everyone uses notepads. Notepads are an essential desk tool for quick notes. You can create unique full color notepads with your company information printed on them; perfect to hand out to customers and clients. They'll see your company information every time they use your notepad. And since notepads are so useful, your customers will more likely use them and not toss them away. If you are looking for a great promotional giveaway, full-color notepads are for you. Everyone uses notepads from school-aged children to the elderly. Notepads are one of the most useful office tools. 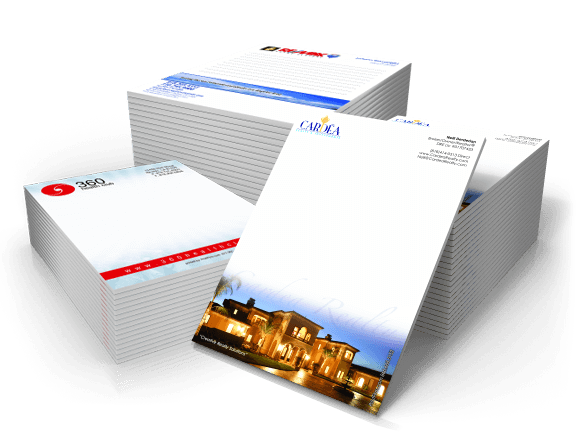 With full-color notepads, you can create unique full-color notepads with your company information printed on them. Potential clients will see your company information every time they use your notepad. And since notepads are so useful, your customers are more likely to use them. 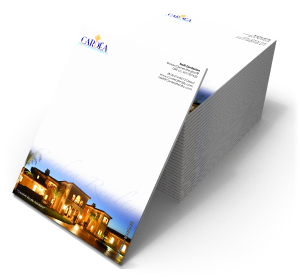 Full-color notepads are printed in full vibrant color and typically come with 50 sheets per pad. You can choose from Bright White Premium with a smooth, non-textured finish or Linen with a textured finish. Give your customers something they need. Choose to full-color notepads. Let Printfirm, Inc. handle all your printing needs. We are here to help make your job easier. You can contact us, by phone at 866-668-5152, or if you like doing things face-to-face come on by and see us at 21333 Deering Court, Canoga Park, CA 91304.